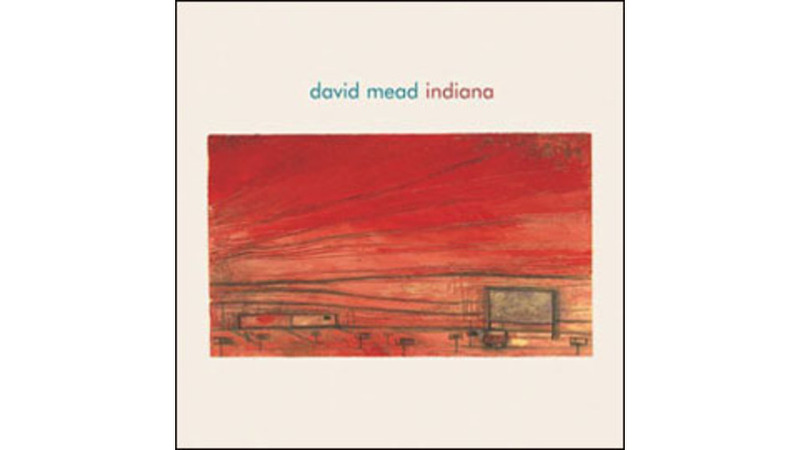 David Mead’s third record, Indiana, shows he’s one of the best solo crooners since Jeff Buckley, albeit possessing a mere fraction of Buckley’s dark charisma. Indiana showcases Mead’s silky tenor and a cozier, more sedate approach than previous efforts. The muscular pop leanings of his first two records have been dropped in favor of a Harvest-era Neil Young country feel. You’ll also detect hints of Nick Drake’s lighter material with occasional forays into David Wilcox territory. In contrast to producer Adam Schlesinger’s ear-candy treatment of Mead’s last offering, Mine and Yours, the production on Indiana is sparse almost to the point of blandness. Fortunately Mead’s voice is a beautiful, nuanced instrument capable of bringing life and color to otherwise monochromatic tracks, and his songwriting bears the mark of an emerging master. The loping, sentimental opening track, “Nashville,” captures the paradox of heartache and exhilaration felt by a lonely soul who ends up on the right side of a 20-something breakup. Its self-indulgent solitude threatens no real pain, but twinges with a satisfying, nostalgic ache. It’s an aura Mead seems intent on sustaining for most of the record—almost every tune performs an artistically death-defying tightrope walk along the razor-thin border between sentimentality and affecting songcraft. “You Might See Him” is another tempting bit of melancholy, filled with cryptic images of Christ-like chimeras and helpless figures that tug at the corner of your imagination. The song’s meaning retreats from a direct gaze, unfolding with rich ambiguity. This indirectness saves Indiana from death by overstatement; the melodies and arrangements telegraph emotion like a John Williams soundtrack, but Mead’s lyrics are evocative and occasionally brilliant. The fourth track, “Beauty” is really all you need to know about Indiana; a deceptively obvious power ballad with a soaring chorus that shows how far Mead’s best poetic instincts can take him. The piano-driven “Bucket of Girls” is well-written, and Mead’s turns of phrase are nothing short of impressive, if somewhat self-conscious. The cover of Michael Jackson’s “Human Nature” is smart, but certainly doesn’t improve on the original, and from there the record coasts home at a steady, dreamy, unperturbed pace. More than anything, Indiana feels like a transitional album—from David Mead, power-pop hipster, to David Mead, heir to AAA royalty like Shawn Colvin and Marc Cohn. Next album, he should just bring in producer John Levanthal and be done with it.